I think I found out about the “Sea Shepherds” through a South Park parody. They are an animal-rights group that harasses and annoys the Japanese whaling fleet in Antarctic waters. The U.S. channel Animal Planet has a documentary TV series portraying their “adventures,” “Whale Wars“, which in Spain was entitled “Piratas Ecológicos” (sic). Its renewal for a sixth season was announced last January. 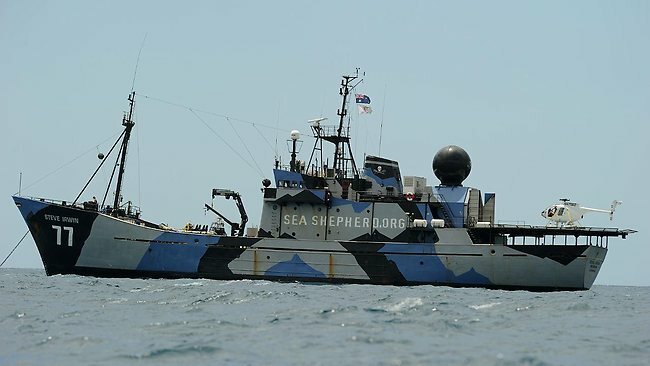 “Sea Shepherds” now has a respectable fleet that consists of the MY Steve Irwin (a former patrol boat), the MY Bob Barker (a former whale catcher), the MY Sam Simon (a former oceanographic ship), the MV Brigitte Bardot (an experimental trimaran), several RIB boats, helicopters and light drones. The larger boats formerly wore a quite ugly and theatrical black that has been replaced by a camouflage pattern. “Sea Shepherds” is in a category apart from environmental groups such as Greenpeace, as their aesthetics and language reveal. Both organizations conduct public actions seeking high media coverage, but “Sea Shepherds” plays with the limits of maritime law. That already has earned them several problems with the law, the seizure of a ship in Canada and the loss of another one after a “clash” at sea with a Japanese whaler. 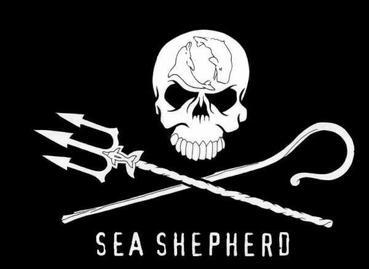 Viewing the TV series gives the impression that the “Sea Shepherds” place ends above means. The fact that their actions make for attractive content for a television show also questions their credibility due to the evident pursuit of spectacularity, parodied and criticized by South Park. But as we saw in the case of the Gaza Flotilla (I, II, III and IV) the important thing in these times is not to reflect the reality of the facts, but to reach media notoriety with a propaganda action that harms the image of the “enemy” . 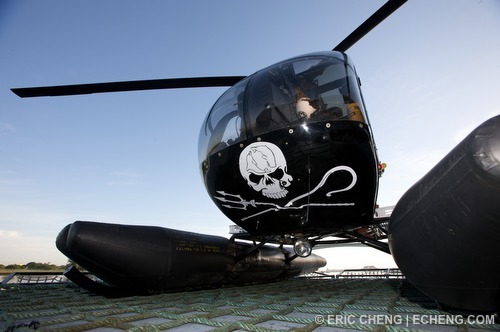 “Sea Shepherds”, with private funding sources (*) and multinational crews, is a clear example of the emergence of non-state actors who achieve global notoriety. Chris Rawley at Information Dissemination told how he was invited to discuss this and other issues related to irregular warfare at sea within a specialized forum at the U.S. Naval Academy. Rawley noted how interesting it is to follow the evolution of the tactics and means of the “Sea Shepherds”, which have been considered “piracy” by an appeals court in the United States. Captain Paul Watson, one of the most brilliant ecologist strategists of our generation, takes the genius of Sun Tzu, the discipline of Miyamoto Musashi, the perception of Marshall McLuhan and his own field experiences to present an effective strategic guide for any apprentice of environmental or conservationist activism. Translated from Spanish by Alan Furth. 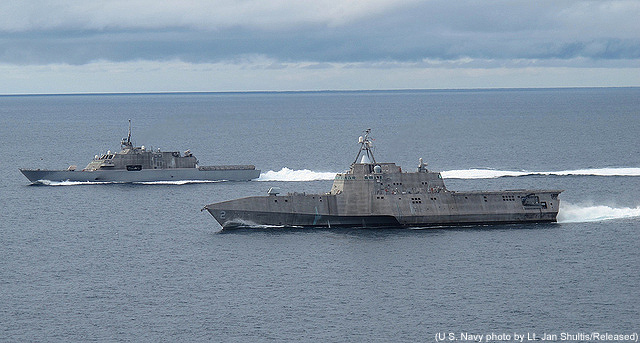 On March 1st, the U.S. Navy’s USS Freedom warship began its deployment towards Asia. This is one of the new Littoral Combat Ships (LCS), a new generation of multi-role warships conceived for special operations, anti-piracy and other missions that fit well with the postmodern wars framework. But what came as an idea that I initially found most interesting, became a great little disaster that reveals the state of affairs in the American military-industrial complex, and the Pentagon’s discomfort with anything other than large conventional wars. The idea of developing the Littoral Combat Ship came from Gordon R. England, then Secretary of the Navy, who set the goal of creating “a family of small boats, fast, maneuverable and relatively inexpensive”. During the last twenty years, the U.S. Navy has been withdrawing its lighter warships, Oliver Hazard Perry-class frigates (4,200 tons), to stay only with Ticonderoga-class cruisers (9,800 tonnes) and Arleigh Burke-class destroyers (8,315 tons initially). In fact, the U.S. Navy has been introducing successive variants of increasingly heavy Arleigh Burke-class destroyers. 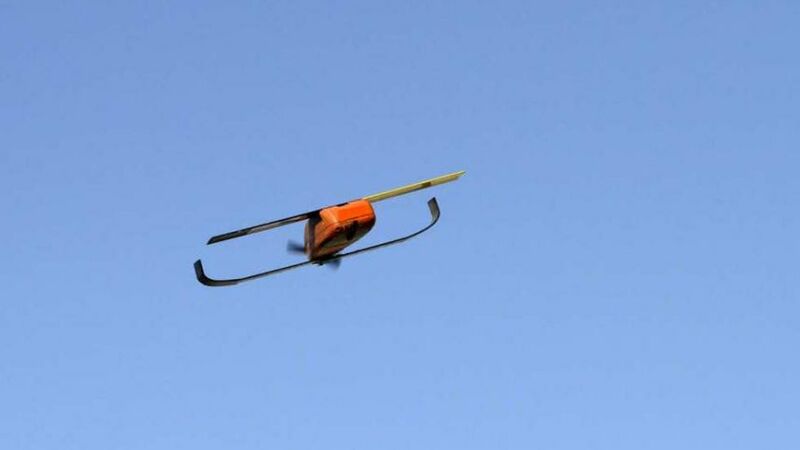 The latest, called Flight III, has a displacement of 10,000 tons. 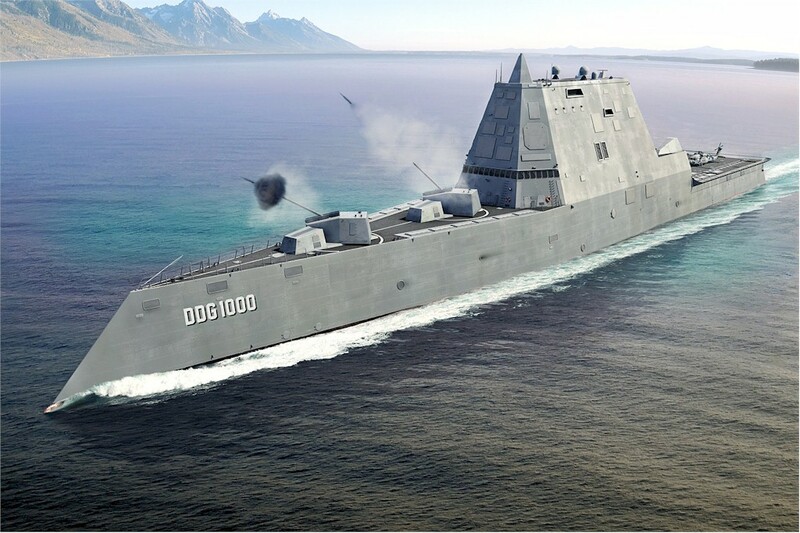 And the next generation of destroyers of the U.S. Navy, the Zumwalt-class, displaces over 14,000 tons, and it’s so expensive that only three will be built. So as the U.S. Navy was requiring ever larger vessels, it found itself without a relevant role in post-9/11 conflicts because there were no Soviet fleets to fight against in the Atlantic Ocean. The Littoral Combat Ship project was an attempt to adapt to a new era of insurgencies, terrorism, piracy and drug trafficking in an increasingly complex world where the timely infiltration of small special operations units in hostile shores was paramount. Building a “small” boat for this sort of operations didn’t seem difficult. Unlike the U.S. Navy, most navies combine large marine units with smaller ships like offshore patrol vessels, or fast attack crafts. For example, France has an aircraft carrier and nuclear submarines, but also has lighter and cheaper, yet well armed boats to patrol its overseas territories. But it’s as if the United States could only “think big”. The LCS were born large, with more than 2,000 tons of displacement. They were required to be extremely fast. And therefore the estimated cost started to skyrocket. They were given a very poor weaponry: A not very powerful cannon and a short-range anti-aircraft missile launcher. The idea was to have a modular design. “Packages” of equipment and weaponry would be added according to each mission. 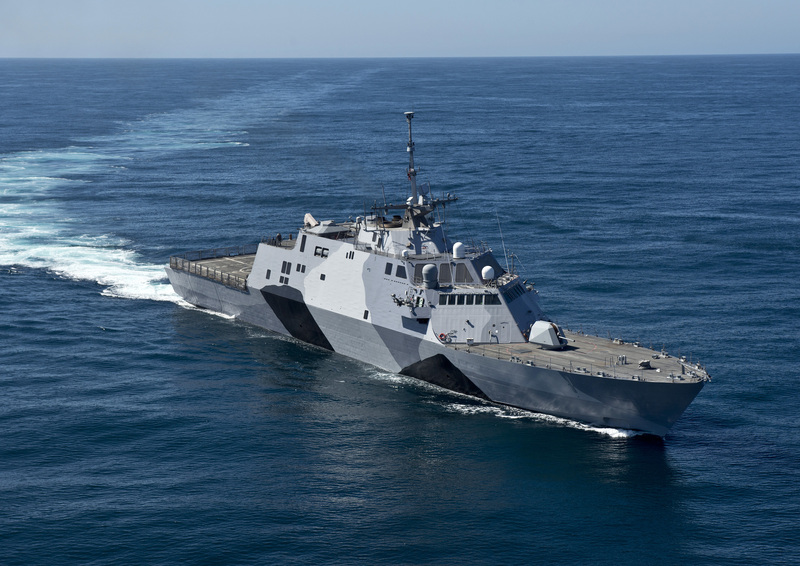 Also, the LCS would be highly connected to the rest of the fleet with data links, so that one could take advantage of the sensors of other ships and aircraft. But achieving seamless integration of all such additional systems was complicated. Costs continued to soar. The program of the NLOS-LS missile with which the LCS would be provided was canceled in 2011, leaving as an alternative a light short-range missile. 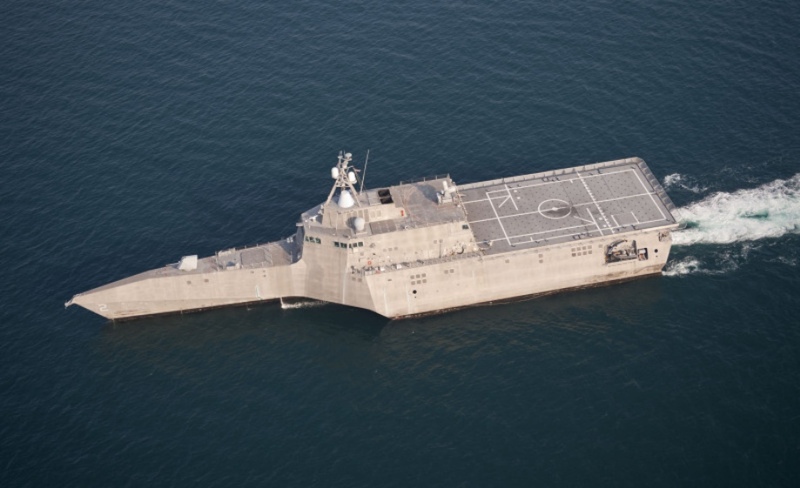 For such an expensive and large boat, the LCS lacked ‘punch’. It became a joke. The New Wars blog asked its readers to nominate alternative meanings for the acronym LCS. They suggested things like “Little Crappy Ship” or “Lack of Common Sense”. It was as if too many people had influenced the design, requiring the ship to do too many different things, resulting in a mediocre boat in all its facets. On top of this, shipyards competing with two different prototypes were not without problems with the actual construction of the boat, and the prototypes had many failures when tested at sea. In the end, the U.S. government took a Solomonic decision. Instead of picking a winner, it decided to buy a few of each design. So the U.S. Navy might even not be able to take advantage of economies of scale with a long production run. I’m sure that someone somewhere in the Pentagon must have said “I told you so”. And surely all the problems of the LCS program will be used as an argument that small boats prepared for unconventional wars have no place in the U.S. Navy. I almost dare to speculate whether the LCS program encountered very powerful internal enemies. At the end of the day, Navy Secretary England, father of the project, left office before it got started. The USS Freedom became functional in 2008 and has finally begun its first deployment away from home. It will be sent to Singapore for several months as a test for a subsequent deployment of four LCS to that port. Singapore is at the mouth of the Straits of Malacca, one of the world’s toughest piracy regions. Recently, there was a military confrontation between Malaysian soldiers and Filipino rebels there. Perhaps the choice of port is a clue that those within the U.S. Navy who think about unconventional wars still have the last word against those who “think big” and dream of a war against China. Robert Gates, former United States Secretary of Defense, warned against nextwaritis, the syndrome of focusing attention on the “wars of the future” and leaving the current ones unattended. He was referring to the obsession with high-tech weapons and the “Chinese threat” when the war in Afghanistan was still running its course and Irak was still not pacified. But the reasons given by Gates for not looking into the future seem to not make much sense anymore. The recent State of the Union Address announced the withdrawal of 34,000 additional troops from Afghanistan. 2014 was set as the date for turning over full responsibilities to Kabul’s government. And it seems like regardless of the state of affairs, a “mission accomplished” will be proclaimed and attention will be focused somewhere else. Even if special forces, private contractors and drones will remain in place. We will see American think tanks producing a flurry of ideas and prospective exercises about the conflicts of the future. But what is clear is that there already is a winner in this process: Asia-Pacific. On November 12th 2011, while at a summit of the Asia-Pacific Economic Cooperation forum, president Obama announced that “we’ve turned our attention back to the Asia Pacific region,” and explained that this renewed interest for the region would have two concrete consequences: a free trade agreement, and a pivot to Asia, a redeployment of military forces from Europe and the Middle East. What does it mean to leave Afghanistan and Irak behind for focusing on Asia-Pacific? It means to stop thinking in counterinsurgency campaigns against irregular forces in which it is crucial to gain over the support from the local population. It means to stop thinking about the phenomena that interrelates with armed conflicts that arise in postmodern wars, like drug-trafficking in Afghanistan and piracy in Somalia. During the ten years of the first phase of the Global War on Terror (2001-2011), the United States’ air force did not shoot down a single enemy airplane, and the Navy did not shoot a single anti-ship missile or torpedo. Instead, they were dedicated to carrying out missions of transport, intelligence-gathering and distribution of humanitary aid. Now nobody hides the fact that talking about Asia-Pacific is an euphemism for talking about a hypothetical high-tech war with China. The model is already in place. It is called Air-Sea Battle, the brainchild of those who coined the concept of Revolution in Military Affairs. 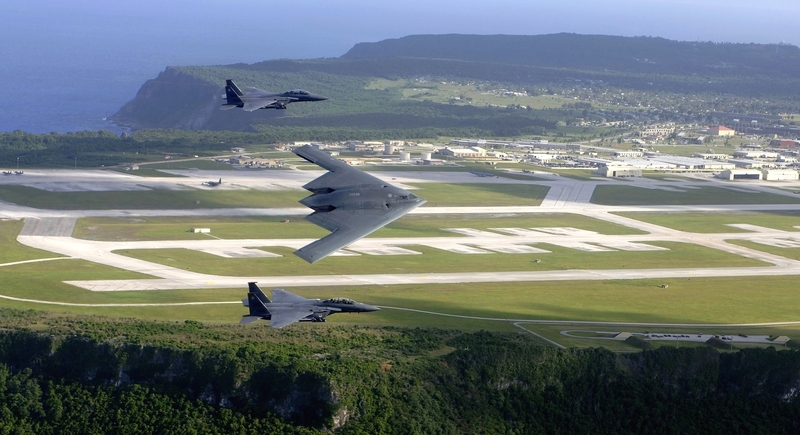 The actual armed forces of the United States are not prepared to develop the Air-Sea Battle, and doing it will imply incurring staggering costs. It is easy to imagine the entrenched interests that will push to go ahead with it, for which Thomas Barnett has called it the military-industrial complex’s self-serving fantasy. The problems with Air-Sea Battle are evident. It is not backed up by a study of the evolution of the international scene and armed conflicts. It is a simple war hypothesis that does not analyze China’s likely evolution, that of its armed forces and its relations with the United States. And what is worse, it could become a self-fulfilling prophecy because it has not gone unnoticed at all in China. Air-Sea Battle is a product of the same school of thought that, during the 90’s, thought of the next great technological war, and that led the Bush Administration to promote the development of an anti-missile defense shield in 2001 based on the inexistent threat of North-Korean and Iranian nuclear missiles, months before 9/11.